Unions Tasmania is the peak body for trade unions in Tasmania. It is also the Tasmanian branch of the Australian Council of Trade Unions (ACTU). With 26 affiliated unions across the state, we represents approximately 50,000 union members. The Tasmanian union movement works to build a better society for everyone. We campaign in workplaces, in the community and in the public and political arena to affect change that raises the living standards of workers and their families. Unions Tasmania provides training to elected health and safety representatives (HSRs) across industry, in the private and public sector. We are approved by WorkSafe Tasmania and Comcare to deliver training to HSRs but we also tailor courses to suit the needs of employers by training members of health and safety committees and managers. Unions Tasmania is seeking a WHS Trainer to deliver introductory and refresher training courses for HSRs exercising powers and functions under the Tasmanian Work Health and Safety Act 2012 as well as under the Federal Work Health and Safety Act 2011. The WHS Trainer would also be responsible for increasing participation and building attendance at courses. The successful applicant will also have a focus on relationship building, stake holder engagement, planning and strategising. Most training is delivered out of the Unions Tasmania office in Hobart, however, some travel may be required to conduct a course in Launceston or Devonport. Currently, training requirements total 8 weeks of course delivery per annum with time spent promoting and building courses negotiable. This is a part time, fixed term role, totally 59 days in a twelve-month period. Training courses run for either 1, 2, 3 or 5 days. There is flexibility around days and hours of work. For the right person who can help us build and grow our training services, there is potential to grow this role and the hours of work. Demonstrated commitment to trade unionism and social justice. Experience either working for, or being active within, a trade union. Experience in building relationships and stakeholder engagement. 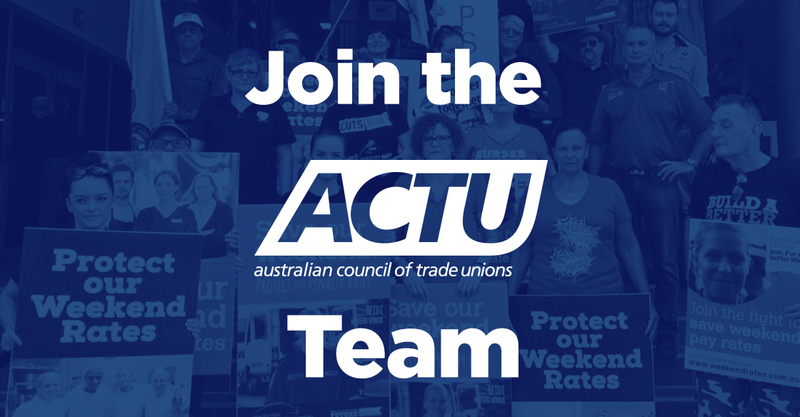 Confidential enquiries can be directed to Unions Tasmania Secretary, Jessica Munday via email jmunday@unionstas.com.au or mobile 0417 454 809. They should include a Curriculum Vitae and cover letter that addresses the essential requirements of the position. Unions Tasmania encourages people with a disability, Aboriginal Australians, young people and people from culturally diverse backgrounds to express their interest.